On the 26th of March 2005 “Rose,” the very first episode of the revival of Doctor Who, was broadcast on BBC One. 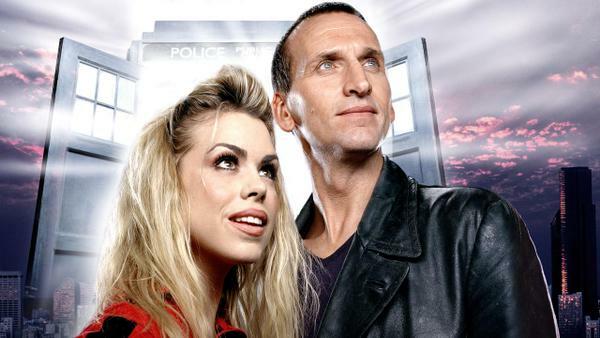 Viewers were introduced to the Ninth Doctor played by Christopher Eccleston and Rose Tyler played by Billie Piper in a script written by new series showrunner Russell T Davies. That was exactly ten years ago today. Let that sink in for a moment. Ten years. I will readily admit that the first year of the revival was wildly uneven. But even so, it contained a few genuine classics, namely “Dalek,” “Father’s Day” and “The Empty Child” / “The Doctor Dances.” Certainly the portrayal of the Doctor by Eccleston was brilliant. Since then we have had David Tennant, Matt Smith and Peter Capaldi all portraying the Doctor, each bringing something unique and wonderful to the role. We’ve also seen the final fate of Paul McGann’s Eighth Doctor, the revelation of the existence of the War Doctor portrayed by veteran thespian John Hurt, and even cameos by past Doctors Peter Davison and Tom Baker. Oh, yes, and the return of Sarah Jane Smith, played by the much loved (and now much missed) Elisabeth Sladen. Oh, yeah, and there’s been a whole bunch of “wibbly-wobbly, timey-wimey stuff,” enough to keep fans endlessly guessing… and arguing. Obviously not every episode has been a brilliant success. There have inevitably been a few stinkers over the past decade. However, on the whole I believe that both Davies and his successor Steven Moffat have done good work keeping the series going, bringing it into the 21st Century. Maybe it is just the nature of Doctor Who fans to complain, to argue “It isn’t as good as it used to be!” But, honestly, I really do think that some of the all time greatest installments of the series have been produced within the past decade. And I am eager to see what comes next. So here’s to the next ten years of Doctor Who! Geronimo, allons-y, and all that! I really enjoyed your retrospective. I find myself intermitently blase about the new series; I enjoy many of the individual episodes, but the big-event season finales, especially in the Moffat years but really dating back to Last of the Time Lords, usually leave me cold and/or somewhat disappointed. That said, the 10 years’ running time (with no end in sight) and the show becoming such a mainstream success here in the US — for those of us who remember the 1980s and early ’90s — is still a stunning achievement, and definitely something to be celebrated! What is 12’s catchphrase? “Shut up”? The appeal of the show sometimes amazes me. I teach 5th grade in semi-rural Vermont and this year discovered I had about 8 fans amongst my 44 students. We’ve started a “Doctor Who Fan Club” and stay after school to watch two episodes most Fridays!